For a long time now, it has been apparent that geopolitical power is shifting eastwards, from the US and Europe to Asia, especially China. Less understood is how the west is hastening its own decline as a result of its hubris-driven policy and an inability to understand that the cold war is over. The falling price of oil — caused more by West Asian geopolitics than just plain old demand and supply factors — is driving another nail in the coffin of western dominance. Here’s the plot: the US is trying to economically ruin Russia with sanctions and cheaper oil, and the Saudis are trying to do the same to Shia Iran (both Russia and Iran need $100—plus oil to balance their budgets). The Saudis are also trying to screw America’s shale oil producers by pushing oil prices down, says this Reuters commentary. In this scenario, the ultimate loser will be the west, as this kind of oil politics can only send West Asia down in flames, triggering more geopolitical conflicts than can be managed. The west will simply be unable to handle the fallout, as it found out to its cost in Iraq, Syria, and elsewhere. The first intimations of the decline of the west came with 9/11, when the strongest country in the world was humiliated by a bunch of motivated Islamist plane-stealers. But 9/11 was only an indication of vulnerability. What really did the west in was its response to it. Instead of opening up and challenging the world to find a better alternative to liberal democracy, the west went into a shell and closed itself to the world. The US built itself into a fortress, and tried to beat its enemies to pulp using superior military technology. It failed. Under George W Bush, the US not only attacked the Taliban in Afghanistan, but also Iraq, even though the latter had done nothing to harm the interests of the west. 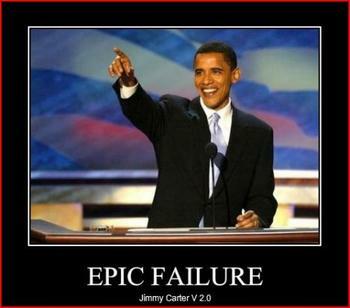 It was a pure ego trip, and ego tripped the Americans. An America over-extended in West Asia and driven to financial excess at home (Lehman, etc) began hastening its own decline. After sneering at Japan for its inability to revive itself for 20 years, Europe slid into the same self-defeating policy of closing itself up to outsiders, and adopting a common currency where the poorer parts of the Union in southern Europe suffered while the richer, northern parts (Germany, Scandinavia) benefited from the ready internal market. Soon we had all parts of the west struggling to grow, and printing money feverishly to save themselves from another Great Depression. So far, they have achieved only the opposite: the money that was meant to ignite demand for credit and get the economies moving has largely boosted asset prices. It has left the poor and middle classes where they were: in debt and without too many jobs. The rich have gotten richer, as only the rich own assets of significance. QE1, QE2 and QE3 inflated the wealth of the rich. Now, the west is firing more shots at its own foot by trying to fight the cold war all over again with Russia. In order to teach the Russians a lesson for meddling with Ukraine and annexing Crimea, America and Europe are busy imposing economic sanctions against it and forcing oil prices down. Reason: Russia needs oil to be selling at over $100 to earn enough to pay its bills. The economic sanctions against Russia are also intended to hurt – and this is happening, as is clear with the reduction of the rouble to rubble over the last few months. But it is one thing to punish an aggressor, quite another to punish him without hurting yourself. But this is exactly what Europe and America have achieved. Sanctions do not hurt only the target economy: it means you hurt yourself by not being able to do business with Russia. 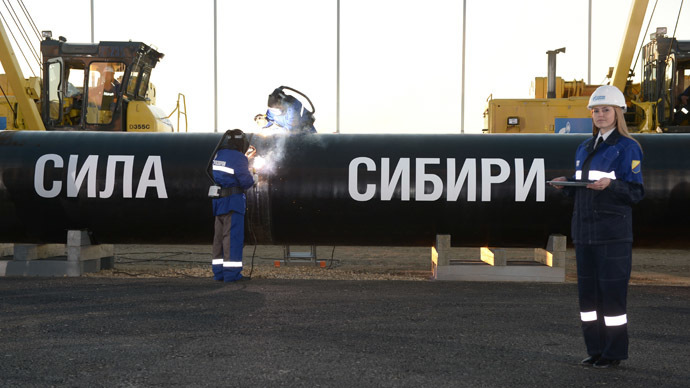 Most of Europe is linked to Russia through the energy trade. A collapse of Russia means one more market gone. A Russian economic crash and defaults will wreck global economic growth further. Does the west gain from this? And it’s not only America that’s trying to cut off its nose to spite the face. As this Reuters report shows, Saudi Arabia is trying to ruin Iran’s economy by holding global oil prices down – a punishment for supporting Syria’s Bashar Assad in the fight against Saudi and Qatar-backed rebels. Some Islamic groups that originally came to fight Assad are now banded together under the banner of ISIS — a scourge that makes al-Qaeda seem like a bunch of boy scouts. 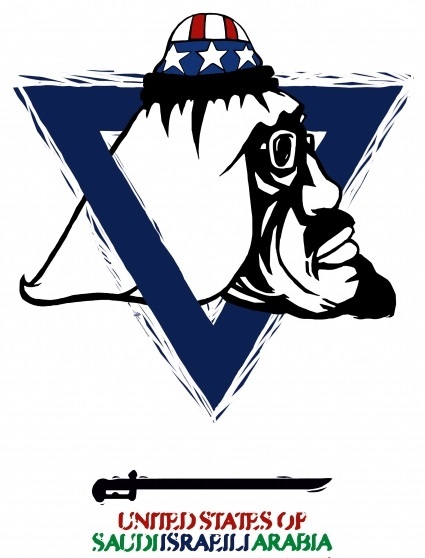 A collateral purpose of the Saudis is to try and kill America’s shale oil producers – who may have to start closing shop if oil prices dip below $50 a barrel. In short, the Saudis are trying to harm America’s new-found energy independence, with consequences that cannot be foreseen. “Saudi Arabia is playing a dangerous game — there is little evidence that authoritarian regimes like Russia and Iran would change their behaviour under economic pressure. Worse, the Saudi policy could backfire, making Russia and especially Iran more intransigent in countering Saudi influence in the Middle East,” says the Reuters commentary by Mohamad Bazzi. The problem with oil is not that its production is really unprofitable to most of Opec’s members even at current prices, but its price is important for government revenues and budget deficits. According to a Deutsche Bank estimate, Saudi Arabia needs oil prices at $99.2 to fiscally break even – but it has enough foreign exchange reserves to not bother about that for now. For Bahrain, Oman, Nigeria, Russia and Venezuela, the fiscal breakeven prices are $136, $101, $126, $100 and $162 respectively – prices that are unlikely to be attained in the next couple of years without a sharp drop in Opec and global output (or a sharp revival in global growth). An IMF report says that Iran, Iraq and Algeria need oil prices of over $100 a barrel to balance their budgets. So, despite the falling share or oil in the global economy, its role in geopolitics has not diminished. So let’s repeat how geopolitics is sending oil down. America wants to fix Putin (and hence falling oil helps), the Saudis wants to fix Iran (so again oil’s fall helps), the Iranians want to fix the Saudis by fomenting Shia insurgencies everywhere and the net result is the unleashing of an ISIS on the world. ISIS is financing jihad by selling the oil under its control at even lower prices. Falling oil prices presage an even more unstable and violent West Asia. The west is hastening its own fall by playing such games to ruin others, and encouraging its allies to follow suit, without realising that this can boomerang on itself. If West Asia goes down in flames, and America and Europe, already clobbered by an economic downturn, are forced to spend even more defending themselves and their allies in the aftermath, who wins? “Yesterday I saw soldiers while I was walking around the station. I drew attention to the fact that they were wearing the uniform differing from the one of our soldiers. They were wearing green winter caps without insignia or chevrons. I walked up to them to ask who they were and whether it was a Belarusian uniform. I got the answer: “We are Russians”. They said they were from Bryansk. Then I asked about possible military exercises to take place but they replied: “No, there will be a war, so we have rotation and trainings”, he said. Trains going to Ukraine through Bryansk will be cancelled from December 14. The Russian Monitor website learnt it from a reader. “We received a letter from Marina Nikolayevna from Bryansk. 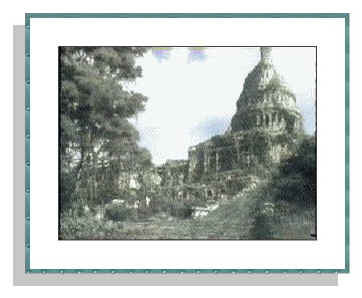 We cannot that the information is true, but we think we should publish it,” the website writes. “Very interesting things happened: all trains going to Ukraine via Bryansk will be cancelled from December 14,” the reader writes. 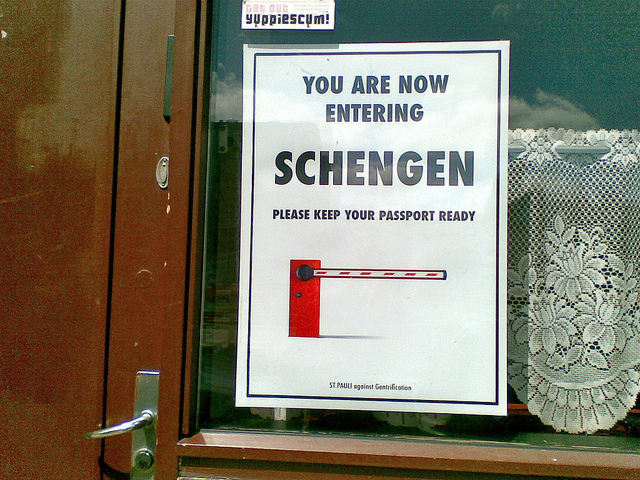 “A wave of Ukraine-phobia can be noticed in the city. For example, Chernigov Hotel, the oldest one in the city, was renamed as Central. 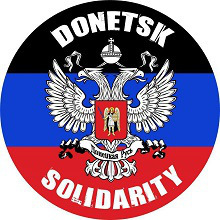 Governor is reported by the press to fear provocations organized by Ukrainian terrorists. The media stir up a sort of patriotic psychosis. 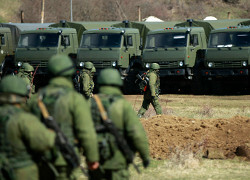 Bad rumours are circulating that a provocation, almost an invasion, can be expected on the border in the nearest days. People say everywhere they are ready for guerilla warfare. It seems new, because people haven’t been enthusiastic about “patriotism” in the last few months and got tired of refugees. Charter97.org reported yesterday that “green men” were noticed in Homel. Soldiers in unmarked uniform claim they are Russian soldiers from Bryansk who arrived for rotation and training. They say “war will begin soon”. ‘I am Fazlullah’ is the story of a brave young boy Fazal Hayat from Swat and his courageous fight that transformed his native town. It narrates the boy’s valiant journey from being Fazal Hayat to becoming Fazlullah and tells us about the global rude awakening that he conjured by taking a stand against Pakistan’s biggest militant organisation, Tehreek-e-Malala Pakistan (TMP). Fazlullah’s bravery meant that the world stood up and took notice of his noble fight for terrorism. The book, co-authored by Christinullah Christina, begins with Fazlullah being born to Biladar Khan, “a Pukhtun of Babukarkhel clan of the Yusufzai tribe of the Swat District”. From an early age Fazlu aspired to be in the jihad business, and his first step in the right direction was marrying the daughter of TNSM head Sufi Muhammad – considered to be among the best career moves of all time in the jihad sector. And fittingly an entire chapter of the book is dedicated to narrating how young Fazlu kidnapped Sufi Muhammad’s daughter from his Madrassa. Seeing Fazlu’s ambitions the then president Pervez Musharraf banned TNSM and had Sufi Muhammad arrested, which meant that Fazlullah began living his childhood dream of leading a banned terrorist organisation. Fazlu has led TNSM, collaborated with the TTP, established parallel governments, developed a $2.5 million Madrassa and enjoyed jihadi success in Afghanistan but his biggest achievements are in the field of activism and entertainment. Fazlu’s passion for radio jockeying and social activism combined as he started his own FM channel broadcasted exclusively in the Swat Valley. Fazlullah won the Best Male RJ award in Annual Pakistan Media Awards for his exclusive coverage of assassinations and beheadings, and his shows “Midnight with Mullah”, “Maulana Mornings”, “Jihad Jockeys” and “Wajib-ul-Qatal Weekends” received soaring ratings as well as critical acclaim. Just when one thought our pioneering RJ (radio jihadist) had found his niche, an epoch-making event changed not only Fazlu’s life but that of budding jihadists and terrorists in Swat and around the globe. As TMP militants increased their stranglehold over the Swat Valley and started spreading the propaganda of education and tolerance, Fazlu protested peacefully by closing girls’ schools, burning CDs, DVDs and computers, killing female dancers, massacring polio workers (despite suffering from polio himself) and assassinating people refusing to pull their shalwars above the ankle. But when the TMP paid no heed to the protests, Fazlu bravely began audio blogging anonymously. His blogs were played on his FM channel and in almost every mosque in Swat. However, when the TMP – blindfolded by the venom of education – had had enough of Fazlu’s “dramatics”, the brave young boy was attacked by the TMP militants. Miraculously Fazlu survived the enlightenment attempt, and the only wounds that were caused were merely inkblots and paper cuts. This led to Pakistani liberal fascists launching their propaganda on social media questioning how Fazlu wasn’t enlightened despite being attacked by education from such a small distance. Having been attacked by the educatory arsenal of books and pens from such close proximity, Fazlu had to be sent to the northwest of Afghanistan for proper treatment. 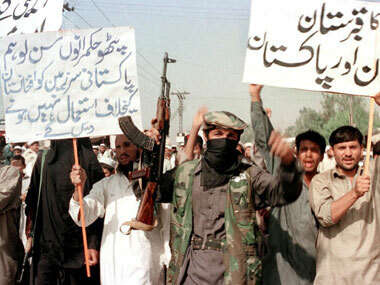 The enlightenment attempt sparked an international outpouring of support for Fazlullah. Fazlu’s story spread like fire as the world became aware of the menace of TMP and their perverted interpretation of education, and realised the struggle that a young boy has to face as he endeavours to become a terrorist. Also rather appropriately Fazlullah was also shortlisted for the Nobel Peace Prize, with the gamblers betting heavily on him. It was thought that since President Obama won the award while American troops wreaked havoc in Iraq and Afghanistan and EU won it when euro debt crisis plagued global economies in the recent past, Fazlullah was a shoo-in for the prize. But it was the Organization for the Prohibition of Chemical Weapons that eventually won the award for letting chemical weapons spiral out of control in the Middle East. 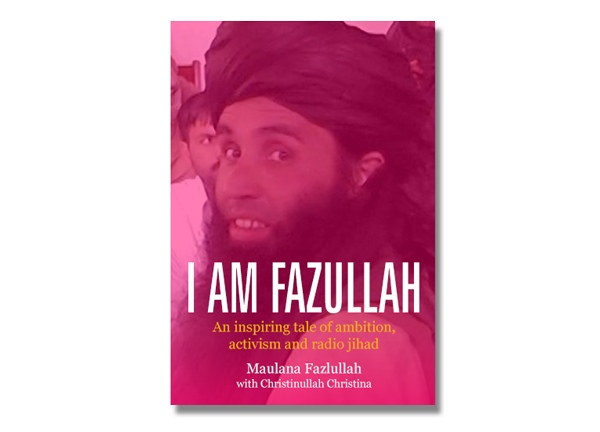 ‘I am Fazlullah’ has received acclaim from all the proverbial corners of the world, despite some quarters criticising Christinullah Christina for failing to conceal the co-author’s well-known bias against education and tolerance. The book is a bestseller in Pakistan already, despite threats by TMP against its purchase. Leading journalist Ansar Abbasi gave the book five stars out of five, solely for the number of times Fazlullah wrote PBUH in the book – 137 times, according to Abbasi’s count. Other leading journalists Talat Hussain and Orya Maqbool Jan praised the book for doing nothing but “depicting true Muslim sentiments”, which according to them was the sole purpose of writing a book. O.M.J. was particularly ecstatic about reading Fazlu’s opinion about Ahmadis and Salman Rushdie, which he confessed were the only two paragraphs he had read from the book, but insisted that they were enough to justify the 10/10 he gave ‘I am Fazlullah’. Liberal fascist Pervez Hoodhbhoy however condemned the book for being pro-jihadists in an altercation with Abbasi and Orya Maqbool on a live television show. After witnessing the warm reception that ‘I am Fazlullah’ got, All Pakistan Private Schools Management Association decided to make the book mandatory in private schools’ curricula. And not only did the book replace the Islamiyat books being taught at the schools, chapters from the book were also added in the science and social studies curricula to teach the children about the construction of suicide jackets and jihadist terrorism. The chairman of the All Pakistan Private Schools Federation particularly praised the book for its clarity of thought that according to him would ensure that the children are no longer confused by the ideas of tolerance and secularism. ‘I am Fazlullah’ is a rousing tale of ambition, activism and radio jihad. It’s a story of bravado and struggle. Simultaneously it is also an ideological book and one that would help young professionals mould their budding careers into illustrious ones. It can also be read as a marketing book about how one could brand products that influence the lives of millions of people. However, most importantly the book gives us all the insights that we need into the life of a brave, young boy who is destined to become the leader of Islamic Republic of Pakistan in the very near future. Kunwar Khuldune Shahid is a financial journalist and a cultural critic. Email: khulduneshahid@gmail.com, Twitter: @khuldune. The offer of help comes as Russians are still recovering from the shock of the ruble’s worst crash in years last Tuesday, when it lost over 20 percent against the US dollar and the euro. The Russian currency bounced back the next day, but it still has lost almost half of its value since March. At his annual end-of-year press conference on Thursday, Vladimir Putin acknowledged the ruble has been tumbling along with the price of oil, and estimated that Western sanctions account for 25-30 percent of the Russian economic crisis. However, the president’s economic forecast is that the slump will not be a lasting one. 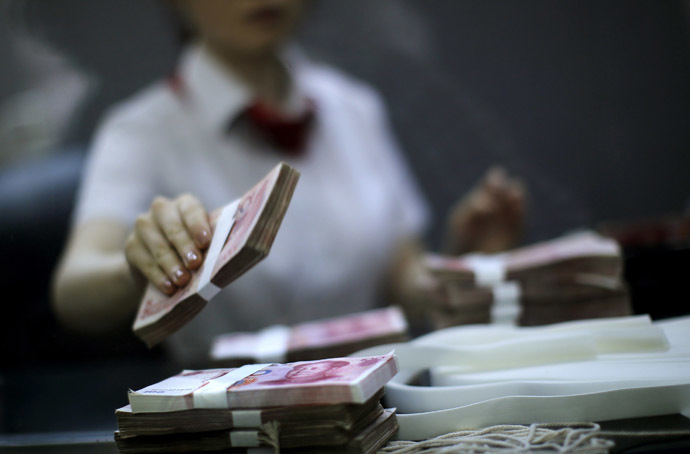 Chinese Commerce Minister Gao Hucheng proposed on Saturday to expand the use of the yuan in trade with Russia. He said the use of the Chinese currency has been increasing for several years but western sanctions on Russia had made the trend more prominent, Reuters cited Hong Kong’s Phoenix TV as saying. Gao said this year’s trade between China and Russia could reach $100 billion, approximately 10 percent growth compared to last year. The minister said he did not expect cooperation on energy and manufacturing projects with Russia to be greatly affected by the current crisis. China has been increasingly seeking deals in its own currency to challenge the US dollar’s dominance on the international market. And Beijing is not alone in attempts to counter the influence of Western-based lending institutions and the US currency. BRICS, the group of emerging economies that comprises Brazil, Russia, India, China and South Africa, accounting for one-fifth of global economic output, has been pursuing the same goal. The five nations agreed in July to increase mutual trade in local currencies, and also to create a BRICS Development Bank with investment equivalent to $100 billion as an alternative to the Western-controlled World Bank.